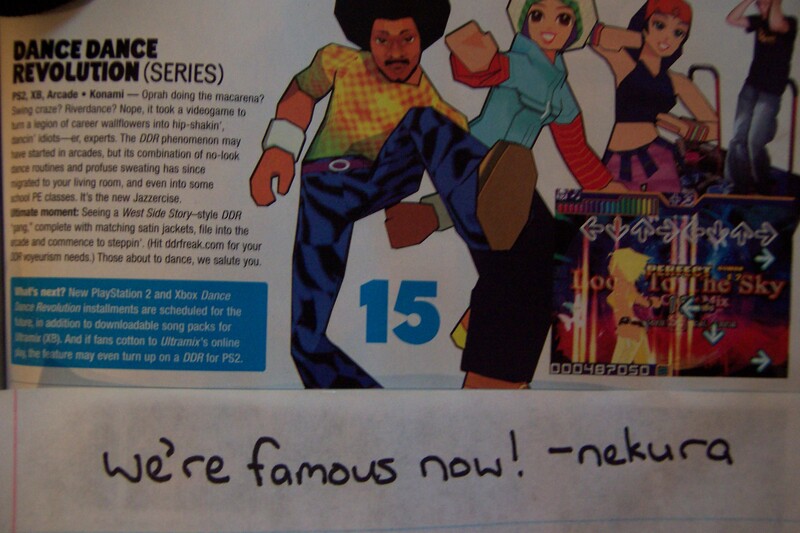 DDR Freak and members have been featured on TV, magazines, and newspapers around the world. Here is a partial collection. If you are a journalist and wish to get in touch with DDR Freak, see the Contact Us page. 3/2001 PlayStation Magazine It Can Be Done!